Reusable Shapes are great for quickly adding consistent visual information on items that will repeatedly appear in your work. 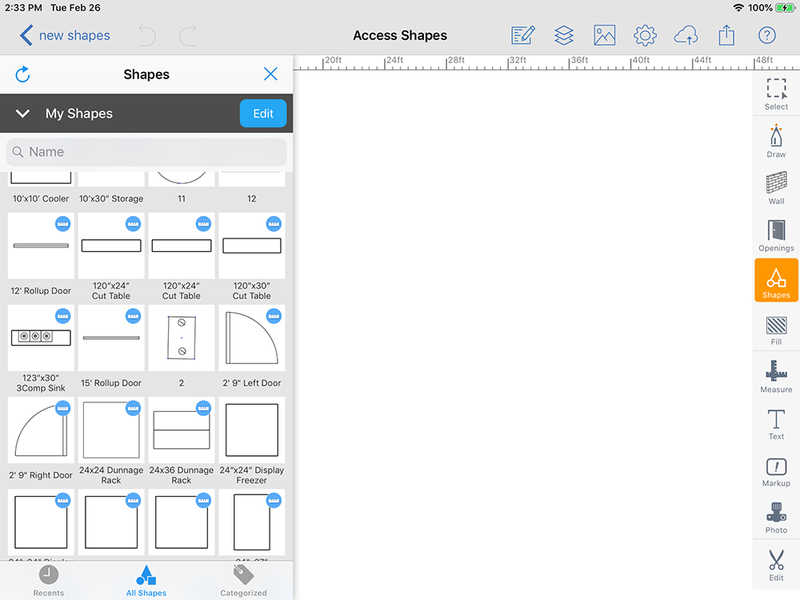 You can even create a shared shape library that everyone in your organization can use with just a few taps on the screen. 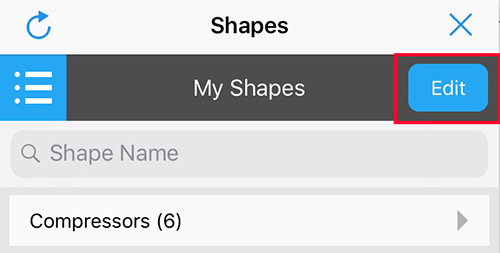 Create Your Own Shape Library - Make a subset of shapes that makes sense for you. You can also use this a shared library across your organization. 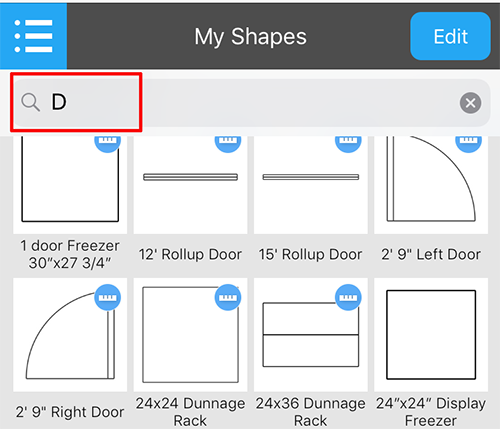 Create Takeoff Schedules/ Material Lists / BOMs - Drop in shapes and define attributes for them to automatically create a Takeoff Schedule. Tapping on a shape will place it in the center of the canvas. You can create a shape in a couple of different ways. 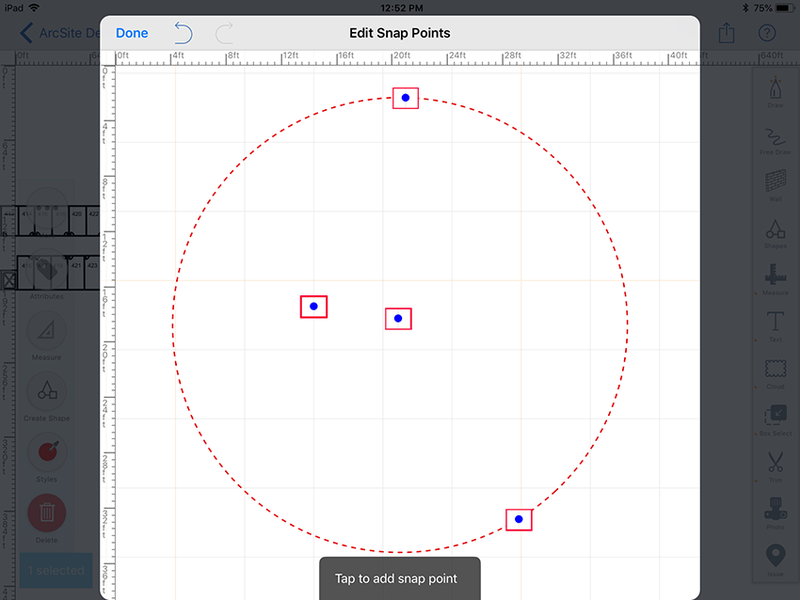 Optionally you can choose to remember it's size and unit and/or define snapping points. 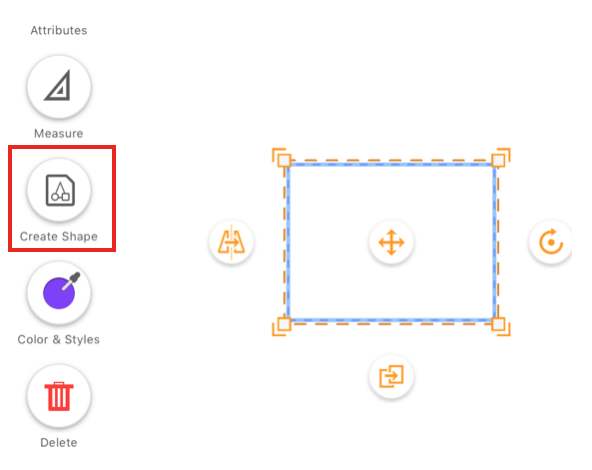 Once you have saved a shape, it will appear in the "My Shapes" tab of the shapes pane. 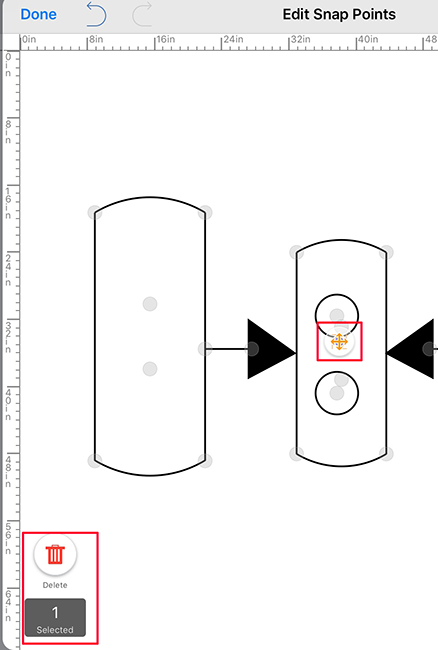 Once a shape has been added to the screen, it can be modified in a number of ways. 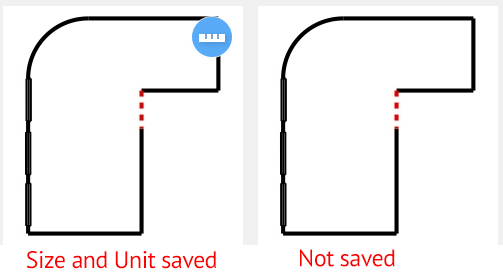 The changes you make to the Shape will not affect the saved shape. You can make some changes to a shape on-screen without having to save as a new shape. 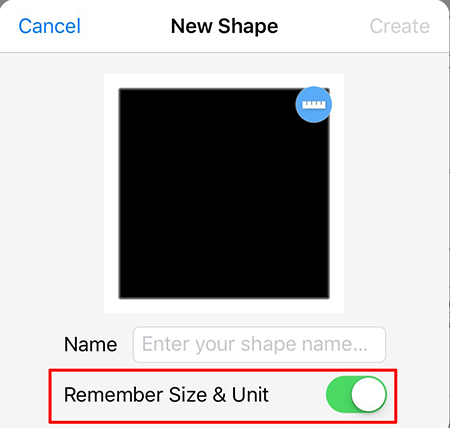 Toggle on the Remember Size and Unit option to have the shapes appear at the same size every time. 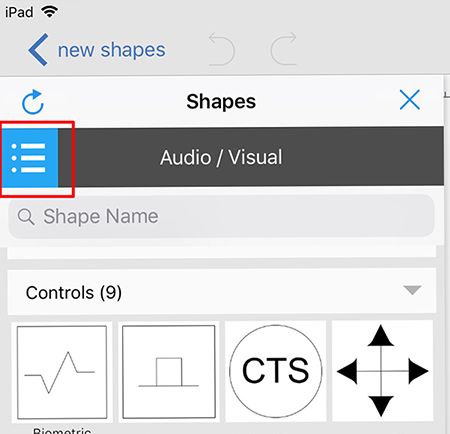 Shapes that have their size and unit saved (see note in #3 above), will have a visual indicator in the top right corner as shown below. By breaking the shapes into its original individual parts, you can make any change you would like. 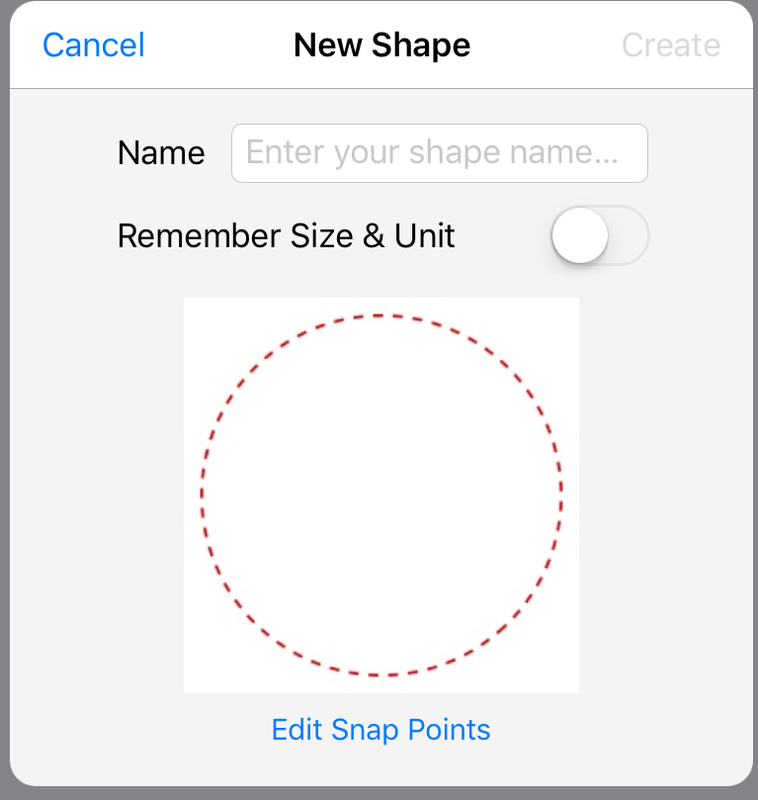 However, while the original saved shape is still available from the Shapes panel, the changed shape is no longer related to the original shape and must be saved as a separate shape to use again later. Snapping points allow a shape to always snap to other onscreen objects in a specific way. This is useful for quickly placing them without having to work on exact placement. 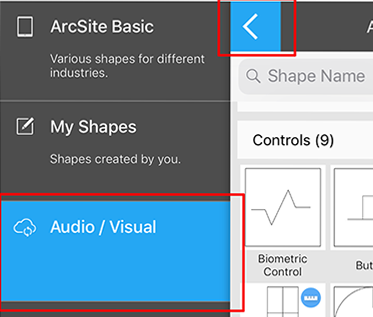 Navigate to the My Shapes tab. 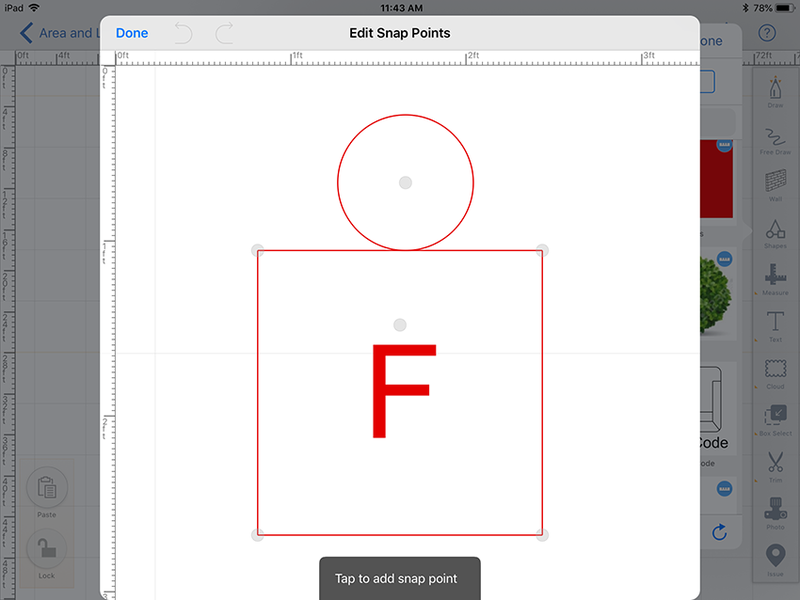 To add snapping points, you must have saved it to your own set of shapes first. 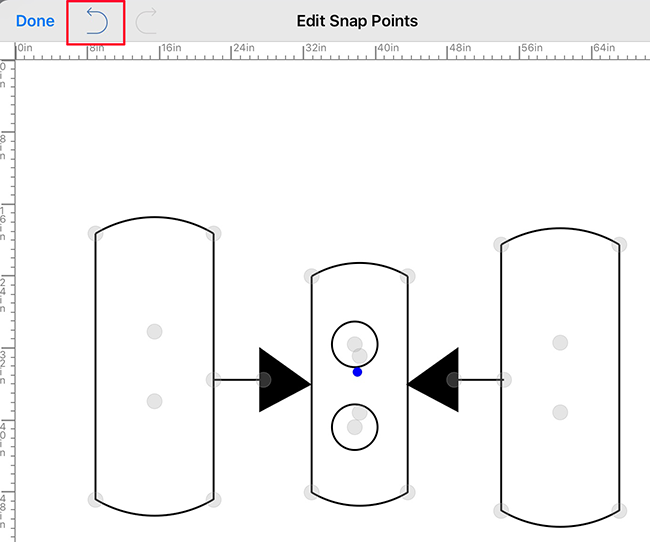 Remove snapping points in one of two ways. #2 - By selecting it and tapping the Delete icon in the lower left corner. 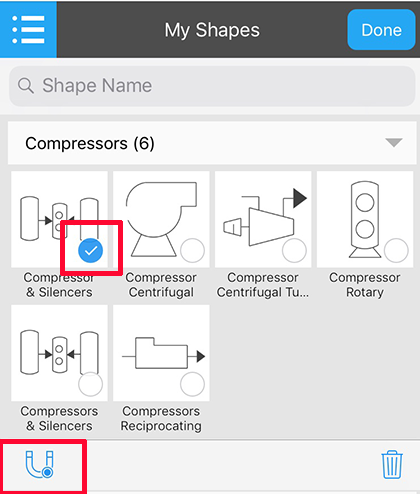 Note - Custom shapes functionality is not available at the Basic subscription level.